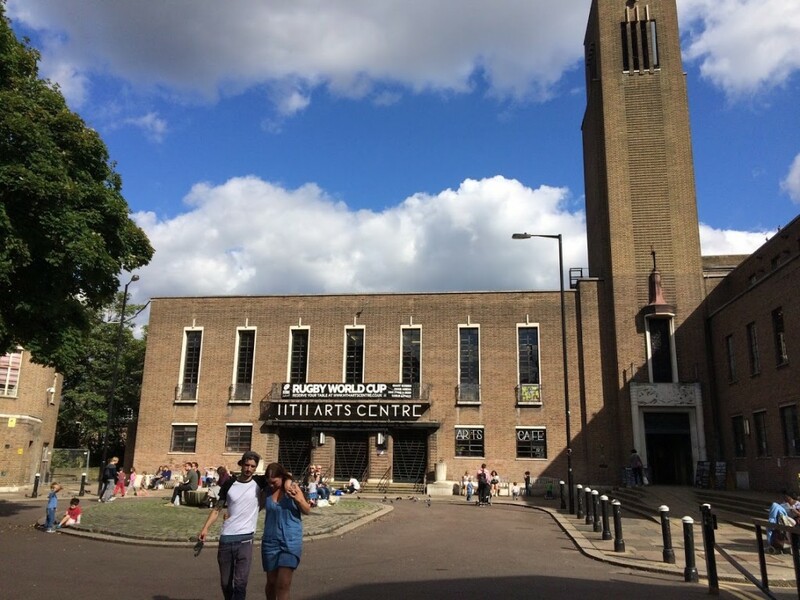 Haringey Library Services have been gradually making their way through the full complement of library improvements over the last few years (Wood Green and Marcus Garvey having already had makeovers) – and sure enough Crouch End is next on the list with Hornsey Library the beneficiary of a £3.3m spend. You lucky people. The work will run from January to August 2019. Why so much? 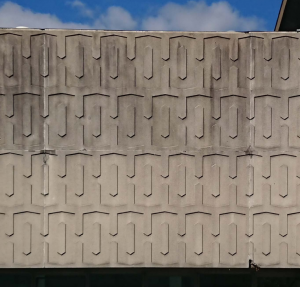 Well, the 1965 grade II listed building is apparently in very poor condition after years of neglectful maintenance and repair, and many of the original features from the boiler to the curtain wall and glazing are at the point of failure. It all sounds terribly overdue. 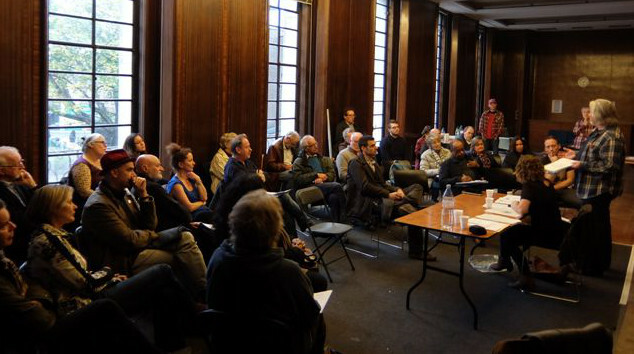 After investigations were carried out the original project scope to simply revamp the interior and patch things up (at a cost of around a £million), was abandoned as unworkable – and a couple of weeks ago Haringey Cabinet decided to bite the bullet and approve the current version of the project. This is a real vote of confidence in the future of the local library service. It’s a major renovation of the building too. Back in June the Library played host to an exhibition of the plans, which are available online here (there was also a public ‘consultation’ back in December) – do look through the FAQs. Click here for previous Forum blogs on libraries. The submission to Planning was lodged in September, and can be found on the Haringey planning portal under HGY/2018/2748 with the obligatory repeated submission at HGY/2018/2749 for listed building consent. The public consultation period is open until October 19. Listed Building Consent for renovation and repair of existing fabric and provision of new facilities to enable the library to offer modern services, including replacement windows and curtain walling, concrete repairs, new floor and wall finishes, new mechanical and electrical installations, creation of a new draught lobby, provision of a new fire exit from the main library, alongside a new buggy store and entrance to the children’s library. To modernise the library, enhance library services, repair the existing building fabric, and reduce ongoing maintenance and running costs. The architects, Curl La Tourelle Head, have supplied a myriad of documents and drawings, though the Heritage Statement is probably the key paper. Please do have a look through and send your comments to the planners – and add thoughts under this article too. Although much detailed work is now complete we think it important the community continue to be heard as the project progresses. 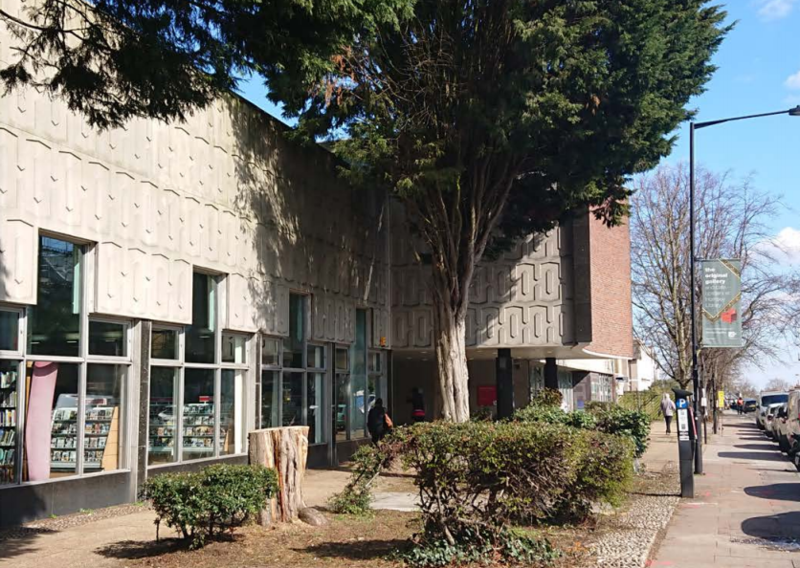 As we’ve mentioned previously, plans are now well advanced and the intention is to carry out major work replacing the aging structure and fabric of the library, including all the fenestration, roof surfaces, repairs to exterior concrete cladding, installing new PVs, better thermal performance, etc. As the library is a listed building the replacement work should closely resemble the original materials and appearance of the building. The work to replace the 1960’s boiler and heating system is ongoing. 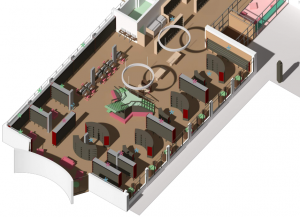 Within the building, the childrens’ library will be extended and a new entrance formed (partly to minimise noise), the mezzanine floor will be dedicated to new media – accessed by a new public lift, and the gallery, study areas, and upstairs cafe space will be refurbed. The zen courtyard will be more accessible and new toilets are planned. The intention is to phase works and minimise any closure period. The main lending library will remain a light filled space with new and restored shelving – though a noteworthy change is the removal of the existing librarians’ counter and replacement with a smaller welcome desk (which perhaps recalls the original layout). Some question marks remain about the finishes, the flooring, and especially the final colour scheme – it would be very unfortunate to spoil a £3 million restoration project by enforcing the use of garish Haringey corporate livery and branding. The Forum strongly believes that the palette should take its queue from the original colour choices. Work on the public realm should see the worst examples of uneven paving replaced, and another of the large trees will be taken down for safety reasons. However, no work will be done on the ‘fountain’ square at the corner with Hatherley Gardens. It’s a good – and welcome – project, though nevertheless the overall vision for the library and the associated use of the building raises a couple of questions? While clearly and unequivocally a vote of confidence in traditional lending library services, should this actually be an opportunity for a more far-reaching rethink? Is there still an uncomplicated place for libraries in the age of the internet? Will future pressure build for additional sources of funding, or commercial use – and is the building design sufficiently flexible to allow this? The Library could even spread its wings and play a fuller role in the life of the community. Perhaps a full and diverse programme of activities (even after 730pm), of events, shows, concerts, classes, U3A lectures, Neighbourhood Forum meetings, drop-in sessions, clubs, societies, and councillor surgeries? Is there room for informal workspaces, a coffee bar, a local museum, or full-time gallery? We don’t know whether any of this was discussed, though if it were, it was behind closed doors. But, having said all that, perhaps the Library team have those objectives correct and achievable – to modernise the library, enhance library services, repair the existing building fabric, and reduce ongoing maintenance and running costs – and with all that money committed we’re not complaining. The YMCA have a lease for a couple of years yet, and I got the impression they have an option to continue beyond that. Totally agree about relying on the existing colour palette as the basis of the new scheme. The design, layout, furniture, shelving, detailing and colour scheme were part of an overall concept and it would be a great pity if the renovation failed for an a’pence of Dulux. I’d also like to have seen a greater attempt to save and renovate as many of the existing (and original) shelves as possible. The current arrangement has been in place for several decades, is open and welcoming and a key focal point for the library and, as importantly, finding the staff.to assist with questions and book (sorry, media) hunts..
What is proposed seems to be a solution in search of a problem. WOULD BE UPSET TO SEE THE REMOVAL OF THE EXISTING LIBRARIANS’ COUNTER. iT’S VERY IMPORTANT TO BE ABLE TO GET INFORMATION FROM THE LIBRARIANS.